The Range Rover Evoque has been stealing the show for the past year or so, but come 2013, the new Landrover Range Rover will be back in the saddle showing off its svelte aluminum body while still maintaining its offroad capabilities. 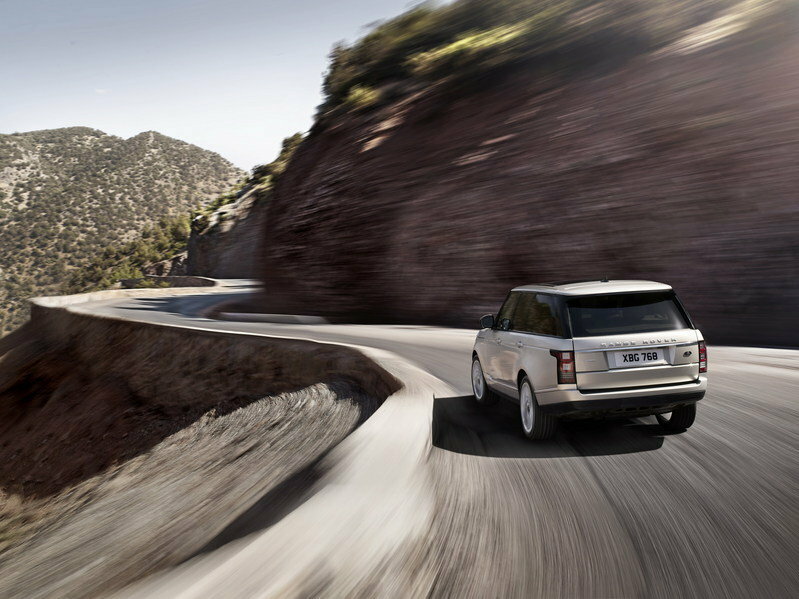 As promised, the new generation Range Rover is lighter, stronger, and more refined. Land Rover mostly focused on reducing the SUV’s total weight, and thanks to a revolutionary all-aluminum monocoque body structure combined with weight savings throughout the chassis and driveline, the new Range Rover is now 350 kilos (771 lbs) lighter than the outgoing model. 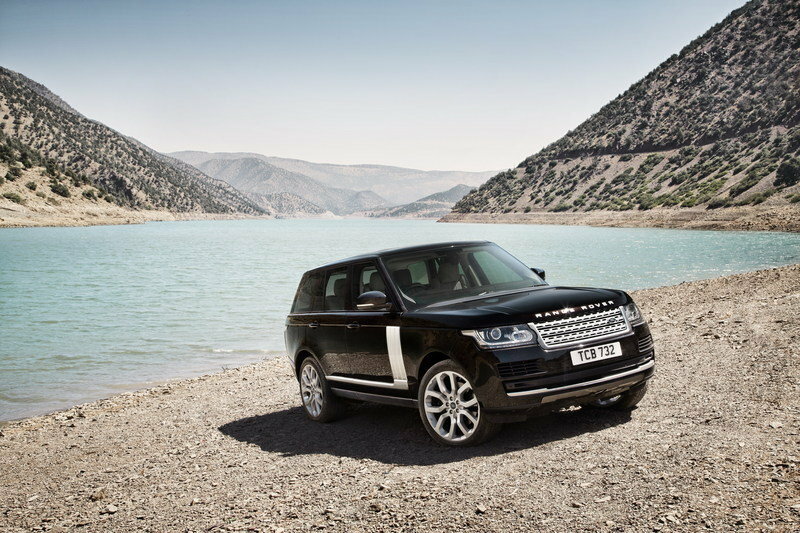 The new Range Rover will be offered with a choice of two diesel engines, plus a V8 supercharged with 510 HP. 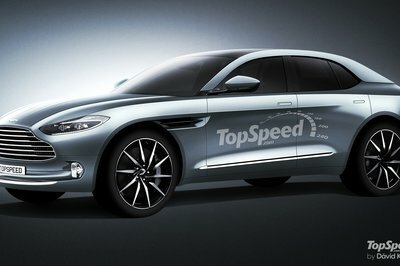 However, a diesel hybrid will join the line-up later in 2013. 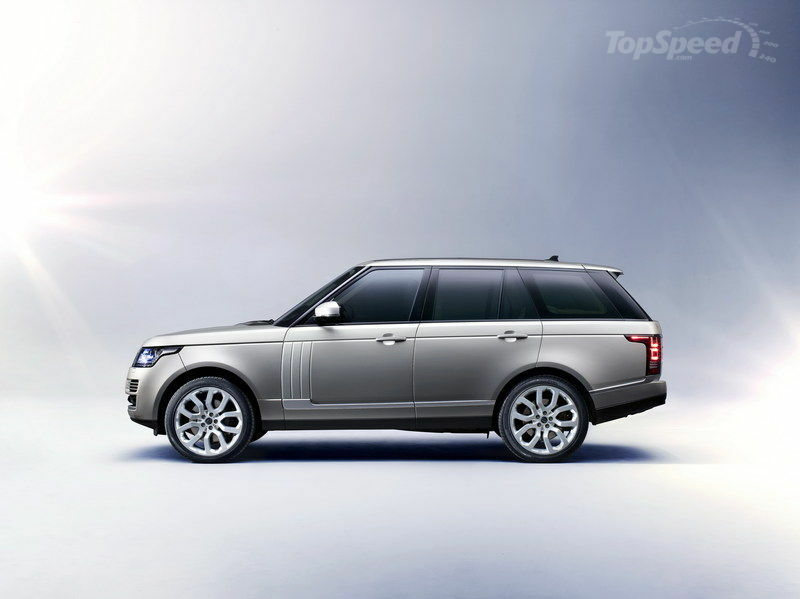 The fourth generation Land Rover Range Rover will go on sale at the end of 2012. On the British market, prices will start from £71,295, or about $114,000 at the current exchange rates. 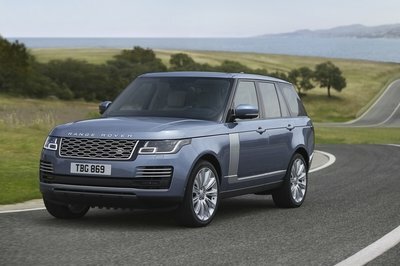 UPDATE 10/02/2012: Land Rover USA has announced prices for the new Range Rover unveiled in Paris. On the US market, the standard LR4 will be priced at $49,950 and the LR4 HSE at $54,175. Price includes $850 destination and delivery. 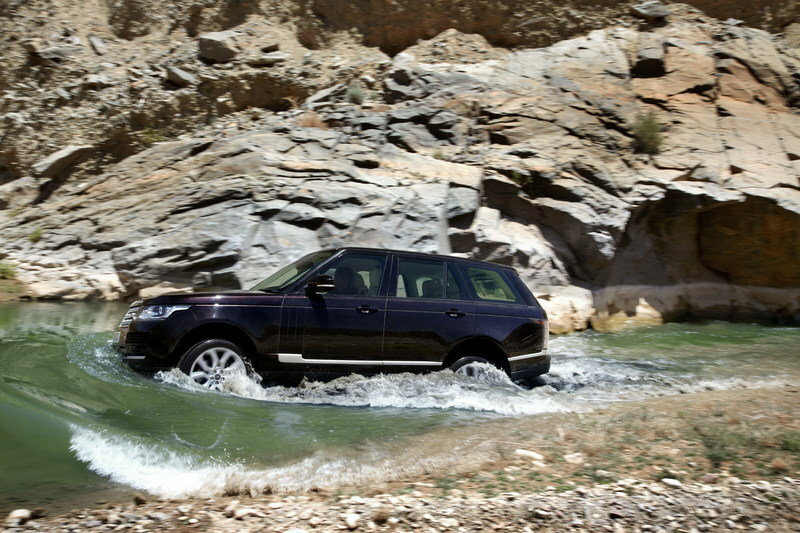 More on the 2013 Landrover Range Rover after the jump. The new generation Range Rover has kept the essence of its design, but has taken it a step forward with a bold evolution. The model is 5 meters long and, when compared to the model it replaces, comes with a smoother and more streamline profile. Land Rover is offering their clients the possibility to choose between a very long list of colors, finishes, and special details, as well as a very impressive list of set of wheels - up to 22" in diameter. A very cool two-seat Executive Class seating package will deliver the ultimate in rear-seat luxury. For the interior, Land Rover opted for the same distinctive Range Rover design cues, but with a fresh and very contemporary treatment. The SUV offers 118 mm more legroom, helping the rear compartment offer more space and comfort. Surround Camera System with T Junction view, Trailer reverse park guidance, and Trailer hitch guidance. 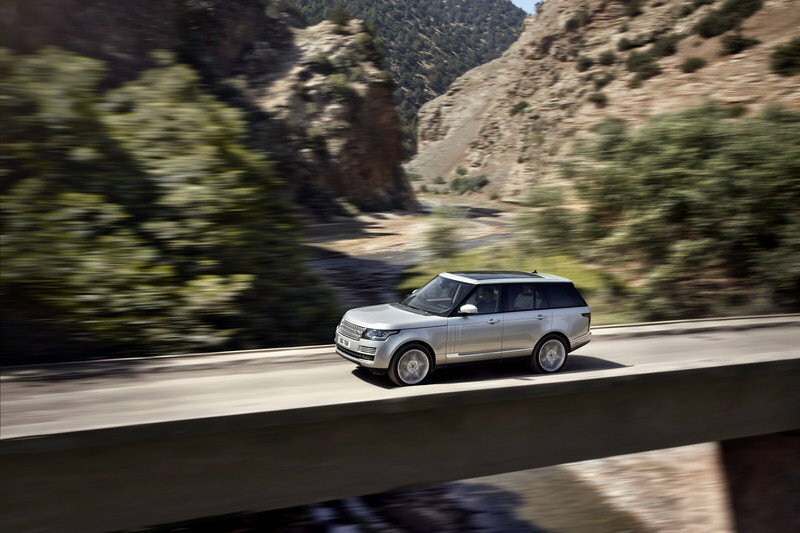 The new generation Range Rover will be offered with a choice of two diesel engines and a petrol option. The diesel line-up will include a 3.0-liter TDV6 engine delivering 258 HP and a 4.4-liter SDV8 engine with 339 HP. The most powerful version will be powered by a LR-V8 Supercharged with 510 HP. All three engines will be paired with a smooth and responsive eight-speed automatic transmission. One of the most impressive changes for the fourth generation Range Rover is its revolutionary all-aluminum monocoque body structure - 39% lighter than the previous body - which, combined with savings throughout the chassis and driveline, helped with a total weight saving of 350 kilos (771 lbs). 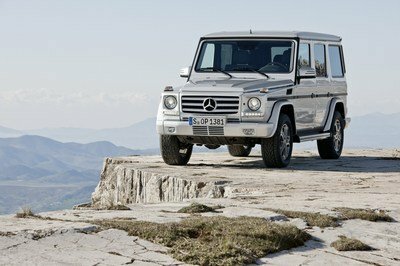 Even more, the 3.0-liter TDV6 version is 420 kilos (925 lbs) lighter - thanks to its smaller engine. This model also delivers an impressive fuel economy of 37.7mpg. Weight savings have helped the V8 model be even faster than the previous model: it accelerates from 0 to 60 mph in just 5.1 seconds, a reduction of 0.8 seconds over the outgoing model. Fuel consumption has also been reduced by 9%. The new generation Range Rover sport will be available in 170 markets from all over the world starting the end of this year. Prices for the UK market will start at £71,295 - or about $114,000 at the current exchange rates. On the US market, the standard LR4 will be priced at $49,950 and the LR4 HSE at $54,175. Price includes $850 destination and delivery. Launching the new generation Range Rover this year has given the SUV a big advantage over its biggest competitors - the Audi Q7 and the BMW X5 - which are still in their testing phases. 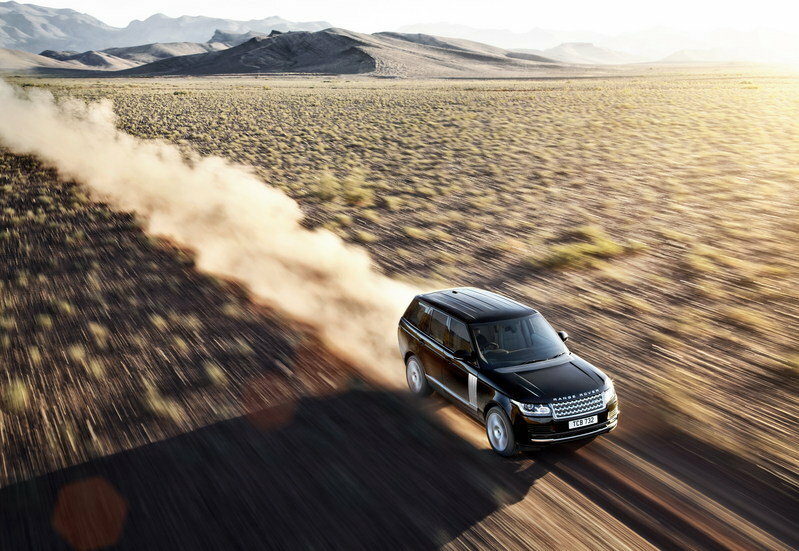 The second generation Q7 is set to be unveiled in 2013, and just like the new Range Rover, it will also focus on reducing its total weight. Rumors say it will be about 650 lbs lighter than the current generation. The next BMW X5 on the other hand won’t arrive on the market until late in 2014. BMW will also focus on reducing the car’s total weight, but just by 330 lbs. 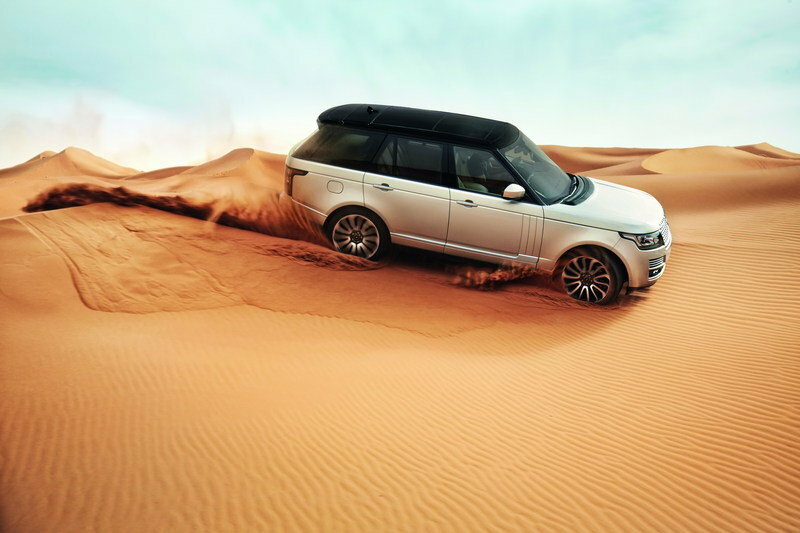 Land Rover is introducing a comprehensive suite of updates Range Rover and Range Rover Sport for 2015 model year, reaffirming their status as the world’s best luxury and premium sporting SUVs, unrivalled in their breadth of capability, both on- and off-road. The potent SDV8 now produces 339PS and 740Nm - a 40Nm increase - with a fuller torque curve from 1700 to 3300rpm thanks to detailed calibration changes. This improves in-gear acceleration by up to 6.5% from fifth to eighth gear, ensuring effortless overtaking ability and enhanced towing capability. The ZF 8HP70 8-speed automatic gearbox has been re-engineered with a revised torque converter incorporating a twin-spring damper. Despite such a large increase in torque, the SDV8’s fuel economy and CO2 emissions remain unchanged at 32.5mpg and 229g/km CO2. Updated puddle lamps now project each vehicle’s silhouette onto the ground at night to light the way for occupants. Fixed panoramic roofs with power blinds are now available and bring an additional sense of space and light to both vehicles’ luxurious interiors. Meanwhile, 19-inch alloy wheels with a Satin Dark Grey finish introduce a stylish option for buyers wishing to use smaller wheels in global markets where conditions and surfaces may prove more challenging. An updated colour palette features Aruba silver and Kaikoura Stone, and long-wheelbase derivatives can be specified with a sophisticated 22-inch alloy wheel for the first time. Inside, an Intelligent Cargo Mode senses if the rear seats are about to make contact with the front seats when folded down to increase luggage capacity, and automatically moves the front seats forwards. Once the rear seats have folded flat, the front seats are returned as close as possible to their original position. Luxurious Autobiography Black can now be specified in all markets, and is available with an exclusive new Lunar/Cirrus interior colour combination. Autobiography Black signature details include unique Santorini Black and Bright Chrome exterior trim, LED tail lamps, unique 21- and 22-inch alloys, new seat designs with Semi-Aniline leather, customer-configurable mood lighting, and additional swathes of leather. looks good on the outside, feels even better on the inside and it can go wherever you want. what more can you wish for? 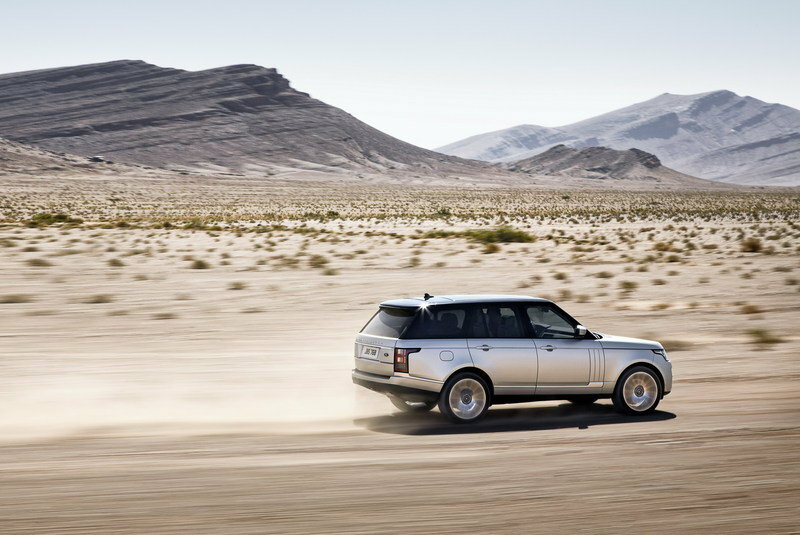 i still believe that range rover is one of the best off-road vehicles! you can go off-road like a Sir in that, ha ha! when audi started with LED headlights, all audis got LEDs. now all range rovers will get these smokey eyes? i love the resemblance with the evoque! still...it’s 50.000$. you can find more expensive ones, it’s true. but you can find a reasonable one under that price too! how can one say 114.000$ is REASONABLE for an SUV ??? 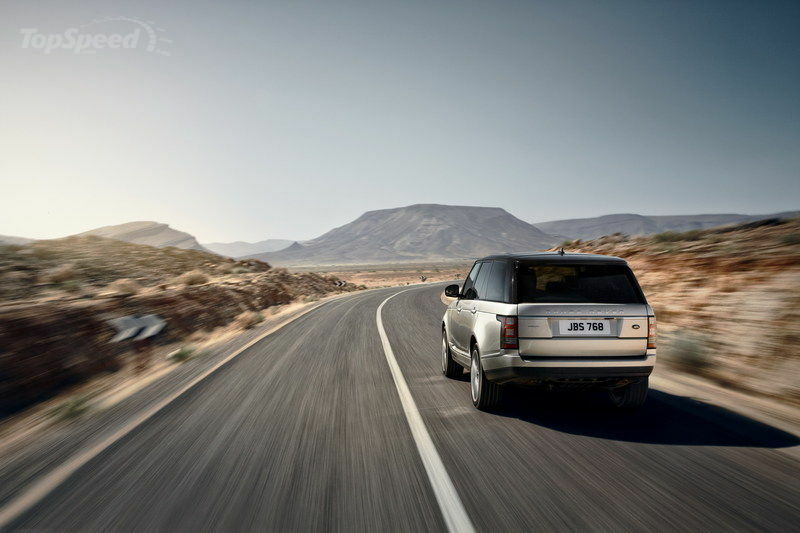 I can’t wait for 2013 to see how cool this new land rover can be compared to other types of land rover. Well, with a 22" wheels, I can say that it is really impressive. 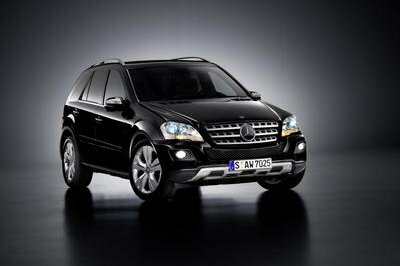 A very reasonable price for this of SUV. Great vehicle. I also love the exterior and interior of this car. Funny indeed because on its initial outlook! Anyway, I hope that they would have revealed soon that official look of this Rover! I also hope that it has an interesting and awesome interior even with its speed performance. The speed performance of this RangeRover is really so impressive for a Jeep vehicle, and I must say that I can’t truly wait to see the official exterior appearance of this one even the interior details of it. Is that already the final outlook of this Range Rover? Well, I think it is much better if, it had a simple design, and I must say that it really didn’t look so impressive on that, and I hope they should enhance it more. I wonder of they are unveiling the car in the Frankfurt Motor Show. I have to say that I’m really impressed with the speed performance of the car. And seems it’s that Jeep would be an awesome vehicle. I can’t stop laughing at that lame shot in the gallery!haha! It’s hard to determine on what are the changes that were made on the vehicle since it was covered by camouflage. I hope to read more updates regarding this car. I was amazed in the speed performance of the vehicle! I wonder if they are going to reveal this one in the Frankfurt Motor Show. 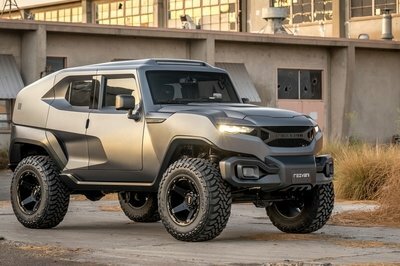 Well, I was thinking if they are going to compete this one with the Jeep? The Wrangler version of the car is quite amazing! Funny, it’s looks like more of a cow or a zebra. I really hate its physical appearance. Some kinda funny. It lost the masculine effect that a rover must have. However, looking in its other color, it looks just fine. I think it cannot steal the attention of the customers, since they wanted this car to compete with the Range Rover Evoque. We all know that Evouge is one great LandRover. Although this new RangeRover is quite good too, I still doubt its performance. It seems that this is an early teaser for this vehicle. Well, I hope that they are going to unveiled the details before the end of 2012.
hmm. I wonder if they are going to compete this vehicle in the 2013 production of Jeep. Anyway, I still need to know the specs and figure performance of the car.